Listen up, low-carb libation lovers! 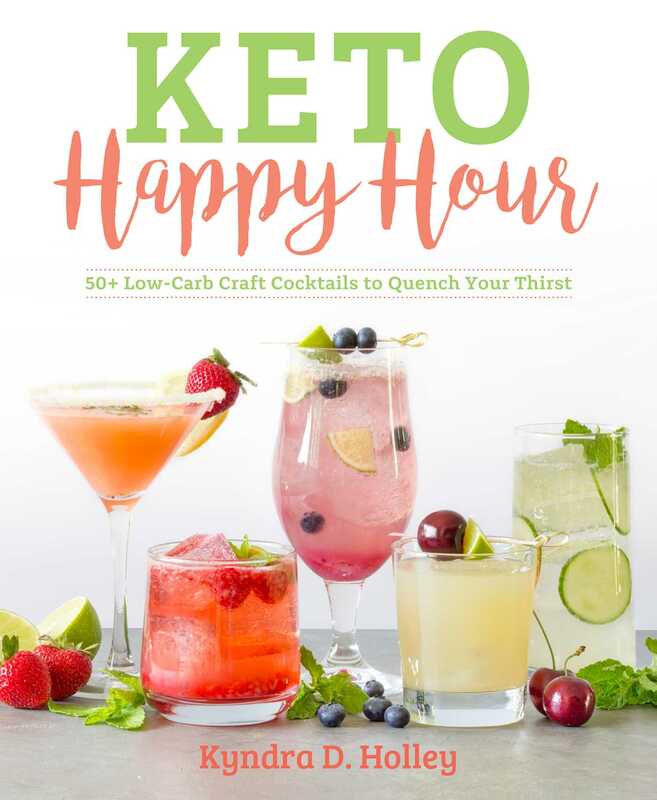 Kyndra Holley, the evil genius behind the popular food blog Peace, Love and Low Carb, is at it again with her new book, Keto Happy Hour: 50+ Low-Carb Craft Cocktails to Quench Your Thirst. Readers rely on Kyndra for healthy, keto-friendly versions of their favorite carb-laden foods. With this book, she shows you how to up your cocktail game, too. Kyndra knows that navigating alcohol can be tricky on a low-carb diet, so she takes all the guesswork out of it for you, showing you how to indulge while sticking to a healthy ketogenic lifestyle. Think you can no longer enjoy a refreshing Moscow Mule at happy hour with your friends, or that you have to skip the margaritas on Taco Tuesday? Think again! Keto Happy Hour puts your favorite drinks back on the menu—the low-carb menu, that is. Whether you are craving a cocktail after a long day at work or looking to entertain guests, this book has you covered. From mixers to drinks and even some pub grub, it’s all here! Mixing up cocktails should be fun, and it shouldn’t come at the cost of your health and weight-loss goals. Keto Happy Hour bridges the gap between feeling deprived and feeling mighty fine. With recipes like these—and even Strawberry Margarita Gummy Worms!—there is something in this book for everyone.